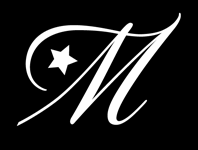 Majestic Events & Entertainment has at your service a team of professional entertainers with years of experience in entertaining people of all ages and musical tastes for all occasions. Majestic DJ’s are professionally attired and are all professional emcees who can easily adapt to your presentation requirements. Majestic also has a variety of exceptionally talented bands, orchestras, and strolling, classical and jazz musicians available upon request. Our ability at the event to keep your guests involved and entertained and the wide selection of music provides the variety in entertainment that will satisfy everyone. The professional approach by our event & entertainment experts to the planning and realization of every event makes it easy for you. With over 4,000 successful events, Majestic’s experience is your guarantee for perfection.